A simple water and vinegar mixture can be used to remove the smell of pet urine from a carpet. Simply use tissues to soak up as much excess urine as possible to get the carpet to its dryest. Next, make a solution of 50% warm water and 50% white vinegar and gently work this into the stained area. Take a generous amount of bicarbonate of soda and sprinkle this on the stained area which you have just applied the vinegar/water solution to and work it in gently with a sponge. 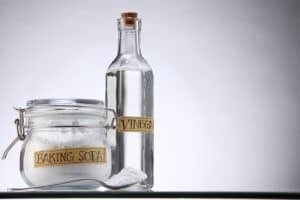 The reaction between the alkaline bicarbonate of soda and acidic vinegar will produce a reaction powerful enough to displace the odours from the carpet. The benefit of using these ingredients is that they are not chemically engineered or harsh, reducing the likelihood of damage to your carpets. Removing the smell of pet urine can be difficult depending on how long it has been present. For patches that have been dried on for quite some time getting rid of the stench can be very tough so we recommend giving a professional carpet cleaner a call. If the soilage is fairly fresh then you may be able to beat the odour yourself! Simply combine two tablespoons of hydrogen peroxide, one tablespoon of scented washing up liquid and 200 ml of warm water. Dampen the area of carpet where the smell is coming from using warm water and a sponge. Next, apply the hydrogen peroxide/washing up liquid solution and work this in gently using a sponge. Leave this to soak for maybe 2-3 hours and then rinse using more warm water. 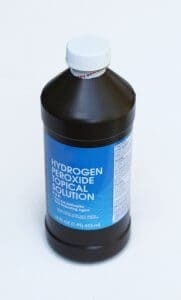 Make sure you don’t include too much hydrogen peroxide into the mix or leave it on the stain any longer than 2-3 hours as it may bleach your carpet a lighter shade. 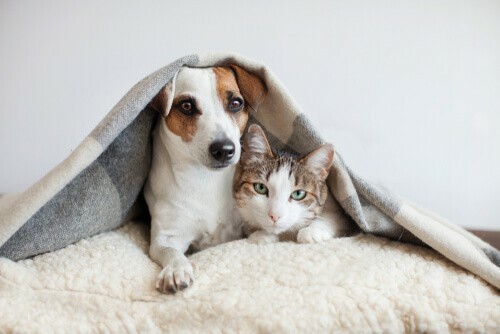 Hopefully, this article has given you some great tips on dealing with pet odours and accidental stains! Unfortunately, sometimes some stains and smells are just too severe and you need to enlist the help of professionals. At Wrennalls our team know carpets and we have pioneered the use of industry-leading technology so you can have peace of mind that those stubborn stains and odours will be gone before you know it. We only deliver the highest standards of carpet cleaning and our work is independently verified by a number of exterior organisations. We are approved by Safe Contractor and Safe Trader Scheme so you can enjoy peace of mind when procuring our services. or get a free quote from our website today!